Place cranberries, apple juice, chopped apple, maple syrup, cinnamon, ginger and nutmeg in a medium saucepan. Bring to a boil; turn down heat and simmer for 15 minutes. 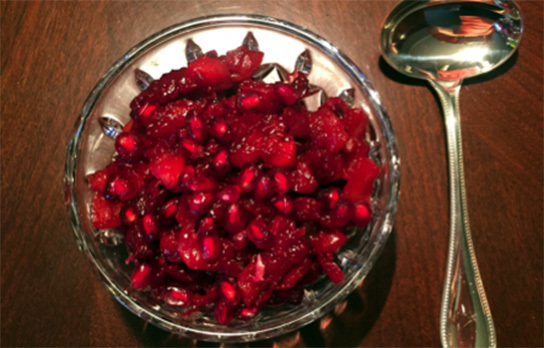 Let relish cool; mix in pomegranate arils.